Our finished walls add beauty, quality and durability to your basement. 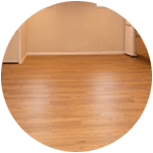 Basement-friendly flooring is the solution to cold, damp and hard basement floors. 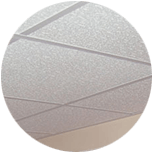 Mold and mildew-resistant ceiling tiles are easily installed and non-sagging. Find the right plan to transform your basement and sunroom into the perfect space for you and your family to enjoy. Finishing your previously unused basement gives you additional space in your home and so much more. It offers you a rare opportunity to exploit your creative side through the design process. And ultimately, you will transform a dark, uninviting space into a room that adds value and comfort to your home, making it an integral part of your family’s daily life. Total Basement Finishing, A Blackdog Affiliate is here to carry out your basement wishes! We have over 25 years of experience through our parent company, Blackdog Builders, a full-service remodeling company. We not only create beautiful designs on paper, but also to actually implement your ideas in a timely, cost-efficient manner. The Total Basement Finishing system allows for maximum customizability and attractive basement designs, while offering proven, patented basement products guaranteed to last, and we are proud to introduce residents in the area to this process. Let us make your dream a reality and provide you with the most effective materials in all of basement finishing. And our caring, professional technicians will be there to walk you through every step of the process. If you have basement- finishing needs, we have the tools and expertise to help! Looking to finish your basement and make a mark on your home? We can help all homeowners achieve their home improvement goals with our flawlessly designed, expertly crafted basements. Total Basement Finishing, A Blackdog Affiliate provides residents of Southeastern New Hampshire & Greater Boston with free, no-obligation estimates. Call us at 1-603-458-7961 or contact us online today to find out what we can do for you! A finished basement can serve an endless amount of functions. Game room, work out room, family room, laundry room - you name it, and we can make it happen! The things that remain consistent are the durable, high-quality, and warrantied TBF products we supply, as well as the design and construction expertise and customer service dedication of our staff. Here at Total Basement Finishing, A Blackdog Affiliate, we offer a total basement-remodeling package. You won’t need to hire any additional contractors for any aspect of the job. We provide a wide variety of choices for your basement walls, floors, ceilings, windows, and more. Any kind of flooring, from tiles and hardwood to carpets, is possible between our ThermalDry® basement floor tiling and our Mill Creek Basement Flooring System. Choose any color for your walls with the Everlast Basement Wall Panels, which can be painted over and are strong enough to support wall mountings, like TVs. You can expect these and many more options from us! We bring your vision to life with our knowledge, positive attitude, and the TBF system. We will happily answer and questions you have along the way. And in the end, we know you’ll be impressed with the outcome – and how much you’ve enjoyed the process! 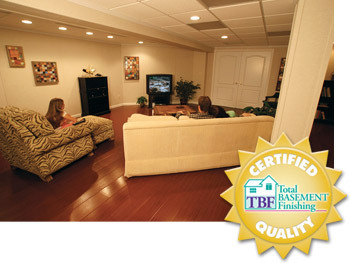 If you have basement-finishing needs, we are the best choice! Our creativity, attention to detail, demonstrated expertise and our ability to complete projects on time are just some of the reasons why customers trust us for basement remodeling needs. We have cultivated a reputation that we are proud and honored to uphold, leaving every customer completely satisfied with the work we have done. Our experience, combined with the TBF system we wholeheartedly believe in, will enable you to live in the home you’ve always dreamed of having. Contact us online or give us at call at 1-603-458-7961 to schedule your Free Estimate today! Total Basement Finishing, A Blackdog Affiliate is locally owned and operated and is extremely active in the community. We understand exactly what it will take to give you a stunning, sustainable new space! 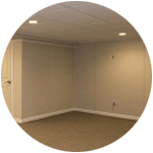 Our basement finishing services are available to residents throughout Southeastern New Hampshire & Greater Boston, in these cities: Lowell, Lynn, Nashua, Portsmouth, Hollis, Hampton, Exeter, Windham, Bedford, Amherst.